For more information, consumers may contact the National Highway Traffic Safety Administration (NHTSA) at 1-888-327-4236 (TTY: 1-800-424-9153) or at www.safercar.gov. This listing may not include every recall. See www.safercar.gov for additional recalls. Razor USA is recalling about 30,000 Dirt Quad Electric Powered Ride-On Vehicles. The control module for the throttle can fail and cause the electric ride-on vehicle to unexpectedly surge forward, posing a risk of injury to the user or a bystander. Razor has received 60 reports of the vehicles unexpectedly surging forward, including two reports of injuries. 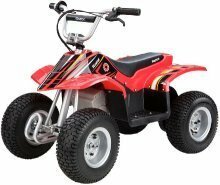 This recall involves Razor Dirt Quad electrically powered ride-on vehicles. Product ID numbers included in the recall begin with 103110-01 or 103110-02. The product ID numbers are located on the bar code affixed to the right step of the vehicle, on the charger and on the retail packaging. Product ID numbers beginning with 103110-03 or later are not included in this recall. 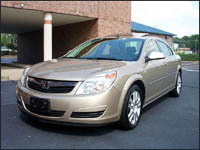 The vehicles, made in China, were sold by authorized dealers nationwide from August 2006 through September 2007 for about $400. Consumers should immediately stop using the product and contact Razor for a free replacement controller. For additional information, contact Razor USA at (800) 813-3155 anytime, or visit the firm's Web site at www.razor.com/recall. Pottery Barn Kids is recalling about 20,000 children's metal water bottles. The sip top on the water bottles can pull off, posing a choking hazard to young children. The metal water bottles are about 9 inches tall and have a black rubber pull up sip top. The following water bottles are included in this recall. The style number and Pottery Barn Kids are printed on a white sticker on the bottom of the water bottle. The bottles, made in Taiwan, were sold at Pottery Barn Kids stores nationwide, Pottery Barn Kids catalog, and online at www.potterybarnkids.com from January 2007 through August 2008 for about $10. Consumers should take the recalled water bottles away from children immediately and return them to any Pottery Barn Kids store for a full refund. If purchased through the catalog or online, contact Pottery Barn Kids to receive a full refund. Sony is recalling about 73,000 VAIO TZ-series notebook computers. Irregularly positioned wires near the computers hinge and/or a dislodged screw inside the hinge can cause a short circuit and overheating. This poses a burn hazard to consumers. Sony has received 15 reports of overheating, including one consumer who suffered a minor burn. 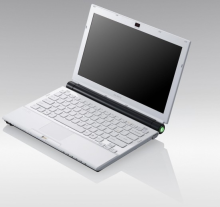 The recalled notebook computer models are the VAIO VGN-TZ100 series, VGN-TZ200 series, VGN-TZ300 series and VGN-TZ2000 series. The computers screen size is about 11.1 measured diagonally. Not all units are affected; consumers should contact Sony to determine if their unit is included in the recall. The computers, made in Japan and the United States, were sold by SonyStyle stores and Web site, authorized electronics retailers, and authorized business-to-business dealers nationwide from July 2007 through August 2008 for between $1,700 and $4,000. Consumers should stop using the recalled notebook computers immediately and contact Sony to determine if their notebook is affected. The firm will arrange for an inspection and repair, if needed. For additional information, contact Sony toll-free at (888) 526-6219 anytime, or visit the firms Web site at www.sony.com/support. Empress Arts is recalling about 130 children's sweaters with drawstrings. Children can get entangled in the drawstrings that can catch on playground equipment, fences or tree branches. In February 1996, CPSC issued guidelines (pdf) to help prevent children from strangling or getting entangled on the neck and waist drawstring in upper garments, such as jackets and sweatshirts. From 1985 through 2007, CPSC received reports of 27 deaths and 70 non-fatal incidents involving the entanglement of childrens clothing drawstrings. The cotton knit sweaters are cream colored with a blue stripe at the wrists and waist, a blue ball on the hood, and blue buttons. There is a drawstring through the hood with pom-poms at the ends. The sweaters were sold in childrens size 2T under the brand name Empress Arts. Empress Baby is sewn into the sweaters tag. The sweaters were sold at specialty childrens stores nationwide from August 2006 through April 2008 for between $28 and $45. They were made in China. Consumers should immediately remove the drawstrings from the sweaters to eliminate the hazard. Target is recalling about 330,000 pairs of Circo Rosette bobbie socks. The ribbon on the sock can detach, posing a choking hazard to young children. Target has received four reports of the ribbon detaching. No injuries have been reported. The recall involves girls Circo bobbie socks. The socks were sold in packs of six (pink, purple, plain white and three pairs with a box), ranging in size from 6- to 12-months, 12- to 24-months and 2T to 5T. The socks are packaged in a green and white sleeve with a Circo-brand logo on the front. The socks, made in Hong Kong, were sold at Target stores nationwide from January 2007 to July 2008 for about $6. Consumers should take these socks away from children and return them to the nearest Target store to receive a full refund. For additional information, contact Target at (800) 440-0680 between 7 a.m. and 6 p.m. CT Monday through Friday, or visit the firms Web site at www.target.com. Menards is recalling about 42,000 MasterForce 3.6-volt cordless screwdrivers The battery can overheat and ignite during charging, posing a fire and burn hazard to consumers. There is no protective device on the lithium battery to prevent overheating. The firm and CPSC have received three reports of fires. One consumer suffered burns to the hand, and another experienced temporary hearing loss. The recalled cordless screwdrivers are green and gray in color. MASTERFORCE is printed on the top of the tool. LITHIUM-ION TECHNOLOGY and 241-0717 are printed on the handle. They were made in China and sold at Menards stores from April 2007 through May 2008 for about $30. Consumers should immediately stop using the screwdrivers and return them to any Menards store for a free replacement or refund. For additional information, call toll-free at (866) 458-2472 between 8 a.m. and 5 p.m. ET Monday through Friday, or visit the firms Web site at www.menards.com.